The Social Innovation for Resilient Communities (SIRCle) project uses adult education to address one of the most pressing needs of our time – how to marry our love for the planet with our capacity to make a living. An Erasmus+ funded strategic partnership, it involved a diversity of social enterprises, NGOs, cooperatives and academic institutions from Austria (Plenum/Pioneers of Change), Belgium (AEIDL and Still Consulting), Romania (Asociatia Romania in Transizie), Scotland (GEN and the Findhorn Foundation), Spain (Altekio), and Portugal (FFCUL/CCIAM). We all agreed that change makers and their projects tend to need further support to sustain momentum and motivation in order to create new social enterprises or to become entrepreneurs within the organisations they already belong to. All around us we saw that as people start putting their inspiration and skills into practice to create a different world, they inevitably run into the resistance of systems to change. We saw a need to deepen the understanding about the process of change over time, and learn how to be personally resilient within it. Having trained and supported numerous initiatives, we also knew the importance building and sustaining teams, and to continue to adapt what we are doing to meet the ever-changing demands and needs of our environments. In addition, the SIRCle Project was born out of the recognition that, while existing sustainability and resilience trainings support individuals and communities to develop excellent practices for deepening their environmental, social and cultural bases, there is a need particularly to strengthen the economic dimension of many projects.With all that in mind, our team worked together for three years to develop a flexible pattern language curriculum to support social innovation and entrepreneurship – we called it the Evoneers’ Journey! For more information about SIRCle, the Evoneers’ Journey, our partner organisations and individual trainers’ bios, please visit www.sircle-project.eu. 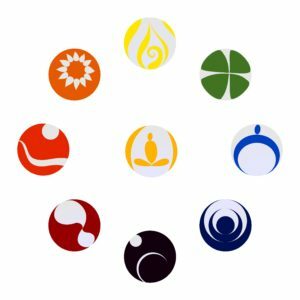 What is the The Evoneers’ Journey? It is a flexible learning journey to develop social innovation projects that contribute to personal as well as community resilience and wellbeing. The Journey takes participants through a core story of innovation and regeneration that unfolds over nine phases or ‘stepping stones’, empowering them and their communities to solve socioeconomic and ecological challenges through social innovation. 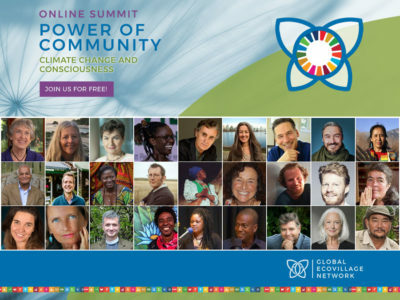 As Evoneers – EVOlutionary pioNEERs – participants acquire the skills needed to develop their passion, ideas and sense of purpose and set up social enterprises or transform existing workplaces. They are supported by hundreds of globally tested patterns and solutions designed to facilitate the development of a new economy based on solidarity and the co-creation and distribution of the goods and services needed for a sustainable future. The curriculum is available in 6 languages, with more coming, can be adapted to different timescales, online and offline formats, and to the context and needs of participants. 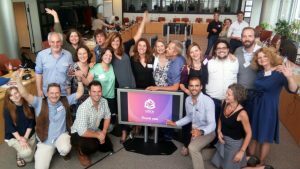 During 2016, the Evoneers’ Journey was tested and further developed in pilot trainings across Europe, empowering social entrepreneurs from Romania in the east to Portugal in the west to contribute positively to their communities. 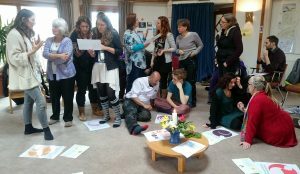 In Scotland, Evoneers’ developed plans for, among other things, a community care home for people with learning disabilities, holistic sustainability education for teachers, and a local health club. 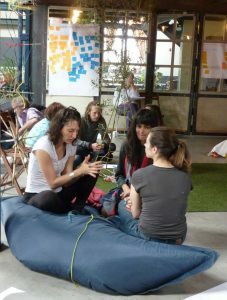 Portugal saw the start of a community-supported organic farm, and a consultancy for spreading the tools and concepts of the sharing economy. In Austria, the focus was instead specifically on supporting newly arrived refugees. While the SIRCle Project comes to an end in September 2017, the SIRCle team remains connected in our passion to support the development of life-sustaining cultures. We envision the empowerment of individuals and local communities; the establishment of mutually supportive networks; and the birthing of new social enterprises and economies embedded in a field of resilience and prosperity. We plan to keep working together, integrate and sharing a wide range of knowledge and approaches to positive transformation and community resilience, from the theoretical and academic to the applied and practitioner-based. Evoneers’ Journey trainings are available in all partner countries and in many different formats. Feel free to contact either [email protected] or one of the partner organisations to see what is available or design your own experience or collaboration. The project also has a spin-off in Youth SIRCle – a new EU funded project to work with young social entrepreneurs and bring the Evoneers’ Journey curriculum to Denmark, Cameroon and Ghana!